The drawback of any WiFi media platform is restricted content access. For reasons of security and quality the Hollywood studios do not release EWC titles for streaming to passenger-owned devices. Our hybrid platform solution overcomes this with seatback style solutions in lightweight wireless form. 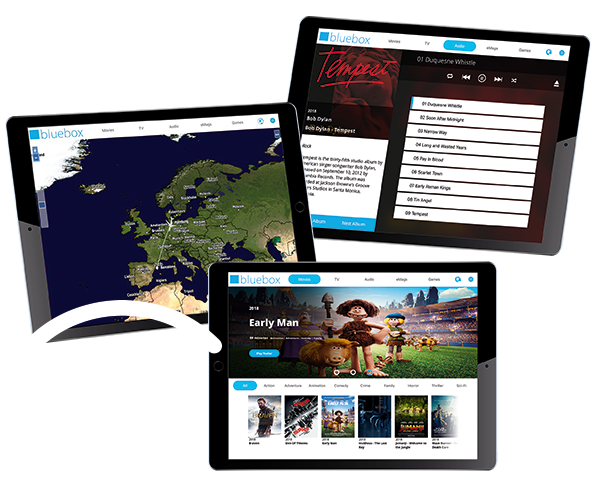 Bluebox Hybrid empowers airlines to offer devices that give access to pre-loaded Early Window Content plus media streamed from approved onboard systems. 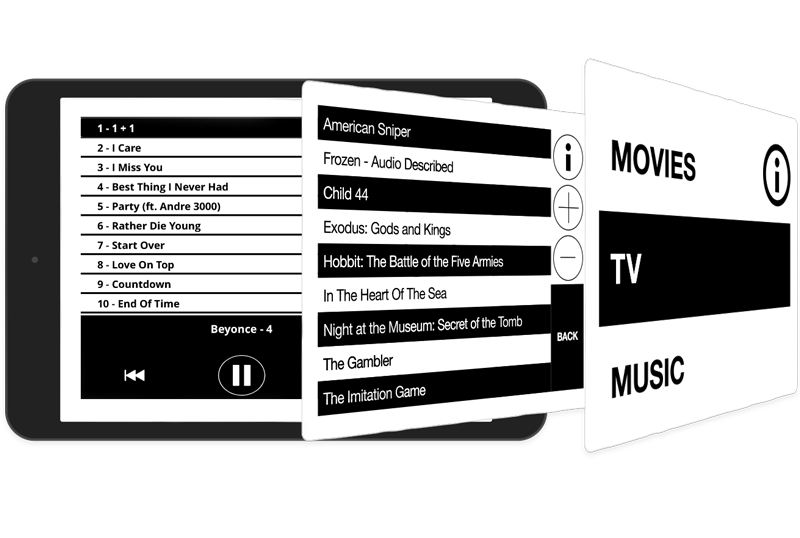 An enhanced version of the Bluebox Ai app for iPad, Bluebox Hybrid delivers the latest Hollywood content in environments that would otherwise offer only older late window movies. 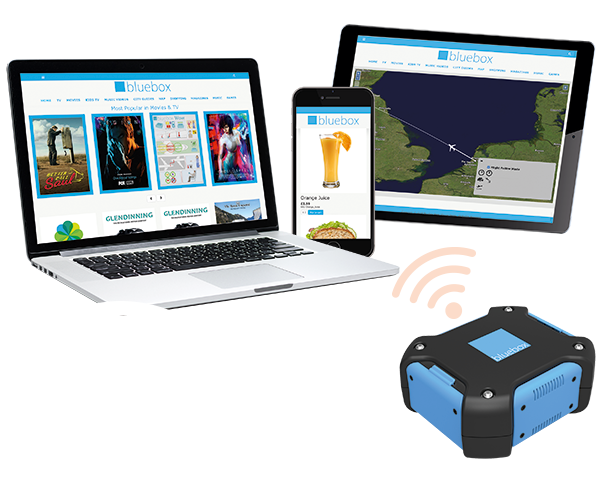 As well as hosting EWC and other pre-loaded content, Bluebox Hybrid helps minimise wireless network traffic and delivers a positive passenger experience even when the streaming system might fail. This makes it an ideal the premium cabin enhancement. Bluebox Hybrid complements and completes any wireless streaming solution.